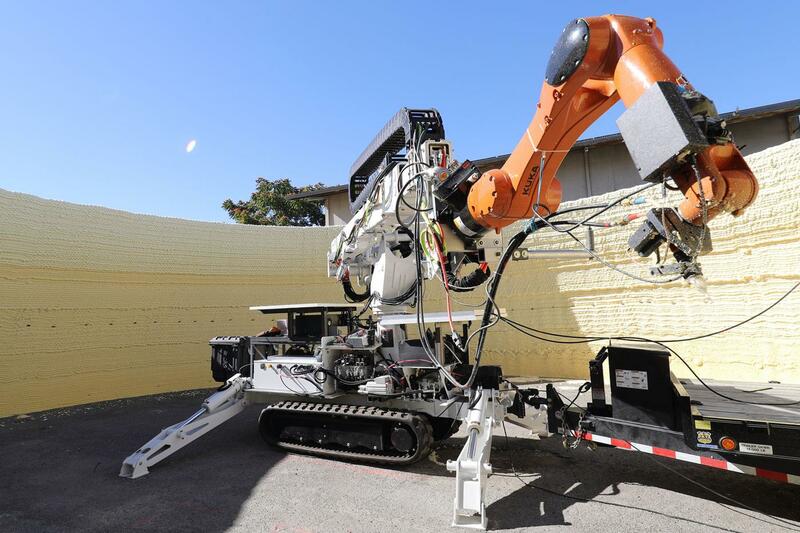 The Digital Construction Environment is the first architectural-scale structure fabricated with the Digital Construction Platform (DCP). 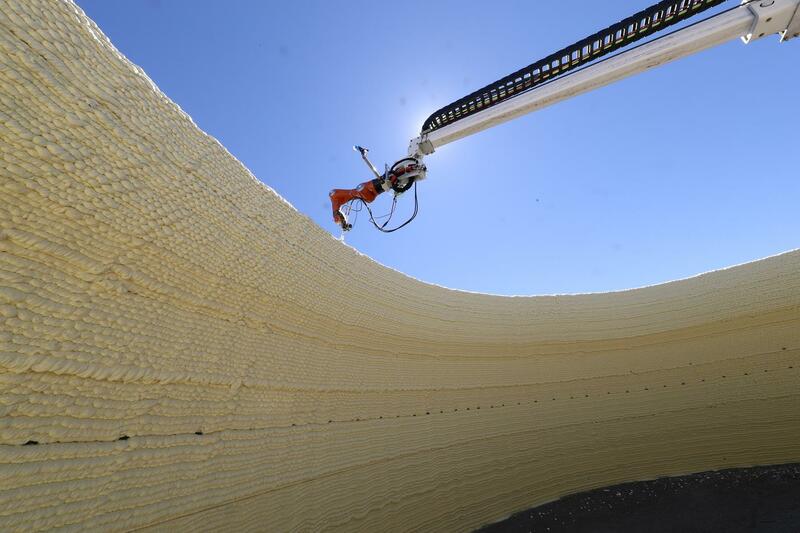 Using the Mediated Matter group’s Print-In-Place construction technique, an open-domed structure with a diameter of 14.6 m and a height of 3.7 m was manufactured over a print time of 13.5 hours. The geometry of the test print is a hemi-ellipsoidal dome design, where the wall thickness of the formwork cavity decreases with height. This enables optimized structural use of the cast material while providing maximum internal volume. 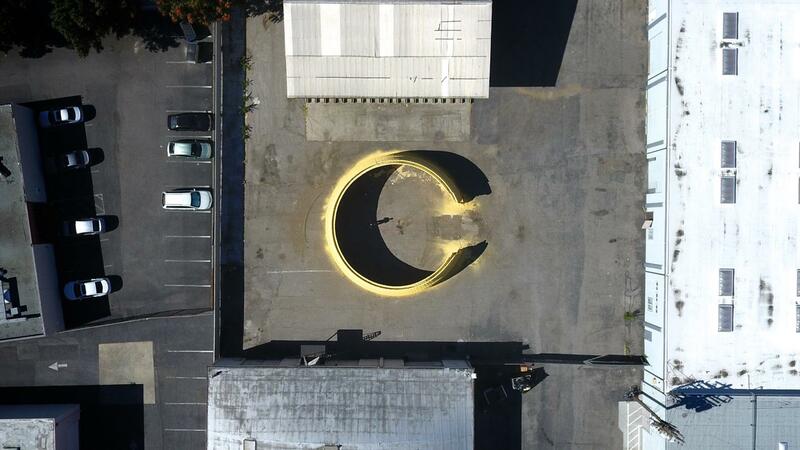 This test print is the first full-scale validation of the Digital Construction Platform and the Print-In-Place process, demonstrating the DCP's ability to rapidly print large-scale structures, produce complex digitally controlled curvatures, and fabricate on-site. 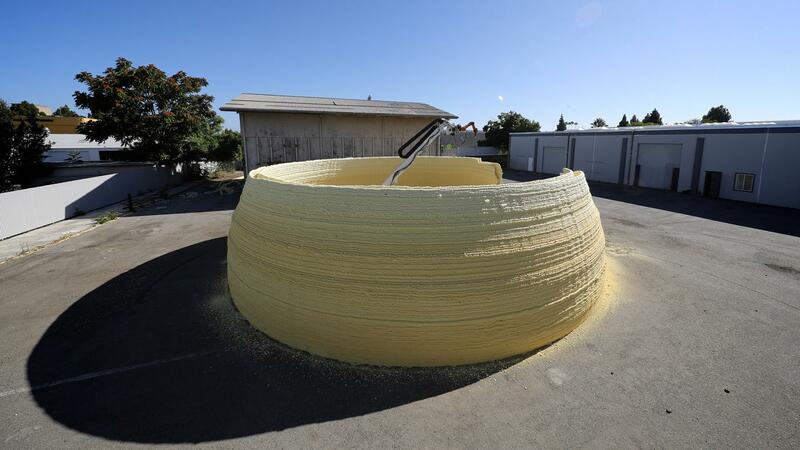 It is among the largest and fastest-produced monolithically fabricated 3D prints ever created. Google, Inc., who provided facilities in addition to supporting this project financially. Altec, Inc., for providing the AT40GW aerial lift vehicle used in the DCP v.2 system. Dow Chemical, for donating the foam material used in the fabrication of the dome. Special thanks to undergraduate research assistants Selam Gano and Damien Martin for their help during the on-site print.